The Add Connection drop-down menu provides an input for you to add connections of all types. One connection can be added at a time; multiple connections will need to be added one at a time. The upward-pointing arrows to the right of the address fields are what you'll use to prioritize your contact's addresses. The topmost address is recognized as the priority, which is an important indicator for outbound messages. Let's assume your account has Phone Number, Twitter and Telegram channels connected and you send a message to 3 contacts, each with a different address priority. The channel that corresponds with each contact's address priority will send them the message. 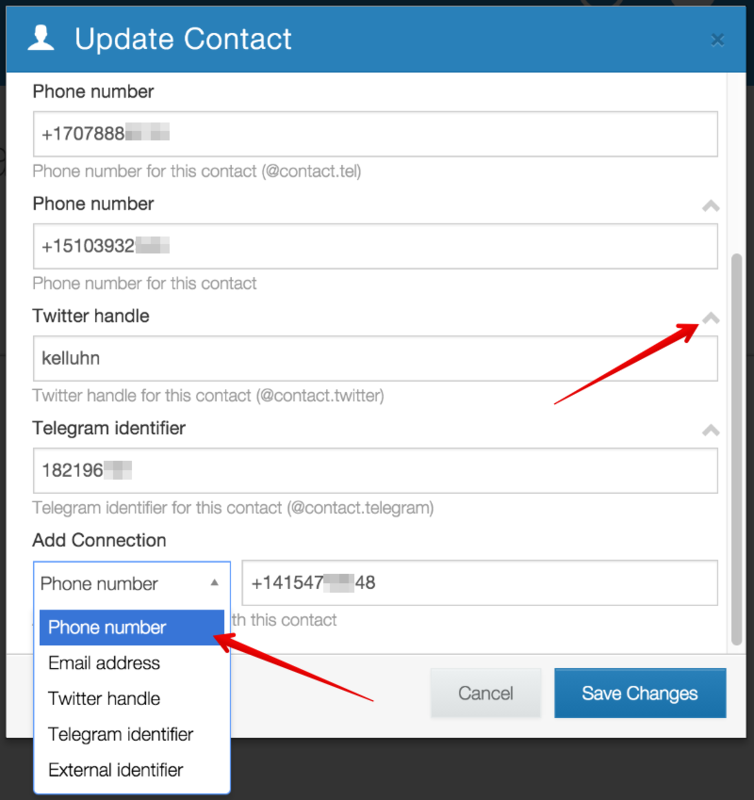 You can change the value of a contact field via the contacts tab, or by adding the Update the contact action to a workflow. 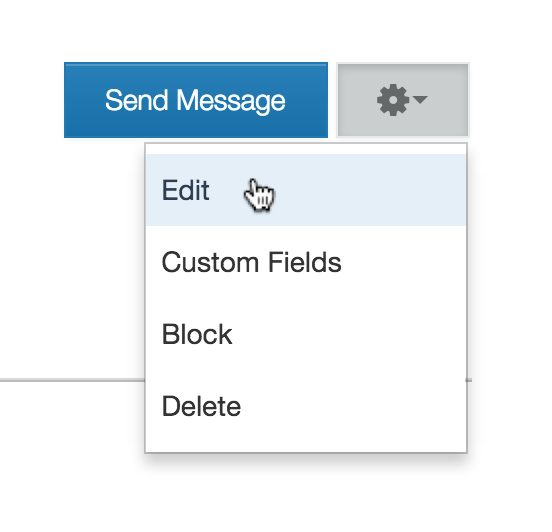 When a new address sends a message to a channel connected to your account, a new contact will be created with an empty name value and empty values for each custom contact field you've added. 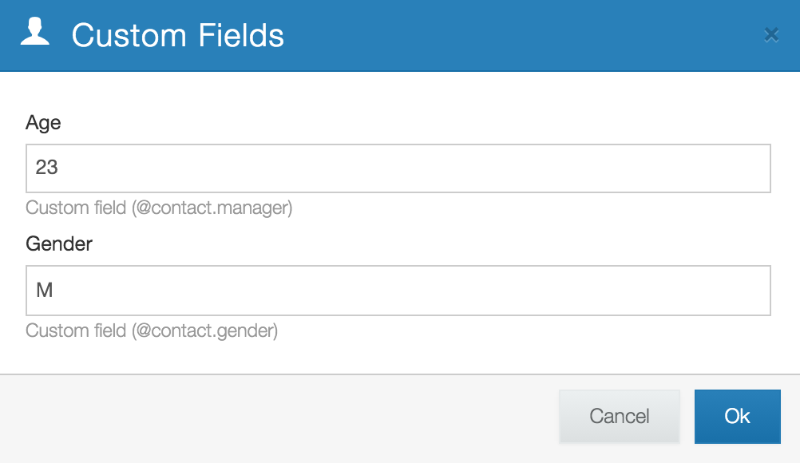 The new contact will only be identifiable by their address until their other field values are updated. Note that when manually adding a date value without a time specification to a contact field, the corresponding time value will be replaced with the time at which you updated the field. 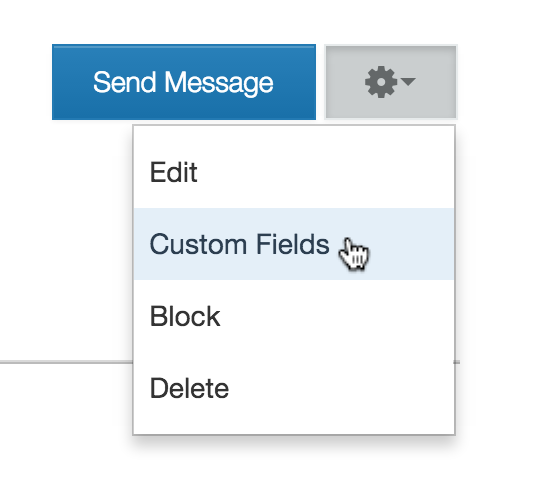 Contact fields can also be created and edited via a workflow containing an Update the Contact action. You can update a contact's field values by including the contact field and its value in your import. Contact addresses, a type of default field value, can be added but not replaced via an import, so long as the UUID column contains the UUID(s) of the contact(s). Contact UUIDs can be obtained by exporting your contacts. All of the information associated with your contact(s) will be returned, including their UUID(s).